Youth in Arts residencies include a minimum of 8 sessions of hand-on learning in visual art, music, dance, theater and/or new media provided by our highly experienced Mentor Artists. Each residency also includes a “Family Art Night” and/or introductory performance by the Mentor Artist, as well as a culminating event where students share their work with peers and family. Pricing varies based on the art form (some visual art forms especially require additional supplies) and on the number of classrooms participating and total number of sessions planned. However, for general education classrooms, our 2018-19 prices average about $110 per classroom session. 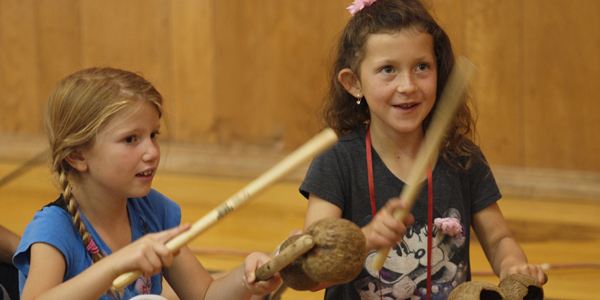 For “Arts Unite Us” residencies in special education classrooms, call 415-457-4878 ext. 120 for special pricing information. A minimum of 8 sessions in 2 classrooms per residency is required. To discuss the specific details of your residency and get a custom estimate, email Suzanne Joyal or call 415-457-4878 ext. 120. Because Youth in Arts residencies are designed to foster in-depth learning in the arts, we are not able to discount programs by eliminating components such as the Family Art Night or culminating event. However our staff will be happy to discuss your proposed budget and see if there are programs we can provide to accommodate you. Youth in Arts considers “one classroom” to mean a group of 20-35 students who meet regularly as a class. We have a maximum class size of 35 for most residencies. A culminating event which will be, at a minimum, an opportunity for students to share their work with peers and invited family (i.e. a daytime “sharing session,” brief performance or “gallery walk”). We believe in amplifying youth artist voices and would love to help you to coordinate an even more significant opportunity for your students to share their work. Options include performances or art exhibits at schoolwide events or evening community events, or even an event or exhibit at our downtown San Rafael YIA Gallery. Additional fees may apply, depending on how much YIA staff time is needed to coordinate these larger events. Talk to our staff about your ideas! We can also supplement residencies with additional professional artist performances and/or teacher or parent training workshops to more fully engage staff and families in arts learning (additional fees apply).